This is a fun way for kids to get up & moving while practicing their double digit by single digit multiplication. Place the cards around the room, have students look for each card, write the problem and solve on the recording sheet. 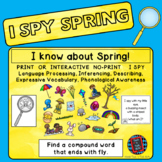 I Spy is a fun way to learn early concepts. 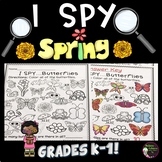 Students will start out looking for Spring themed pictures, they will write the down the amount of each clip they found and finally graph their findings. 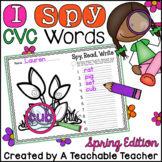 A colored version of the I Spy game is included to be laminate and reused for the whole class. 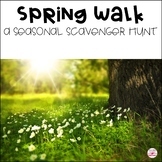 This is an activity developed for kindergarten. 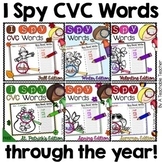 It is an “I SPY” activity. The students listen to descriptions and match them with pictures. Pictures can be laid out on a table or they can be distributed throughout the classroom for the students to search for. ENJOY! 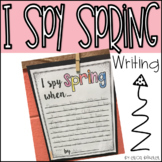 I Spy Spring Edition /k/ and /g/ FREEBIE! 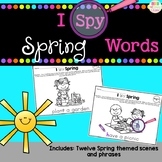 I Spy game, 6 picture scenes, 1 worksheet to write down words you find.